Handle height adjusts from 29″ to 38″ - 300 lb Weight Capacity. Crutches and Canes are great for anyone that needs assistance walking and moving around. 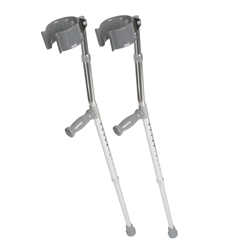 All Crutches and Canes are adjustable in height to suit an individual's height perfectly.